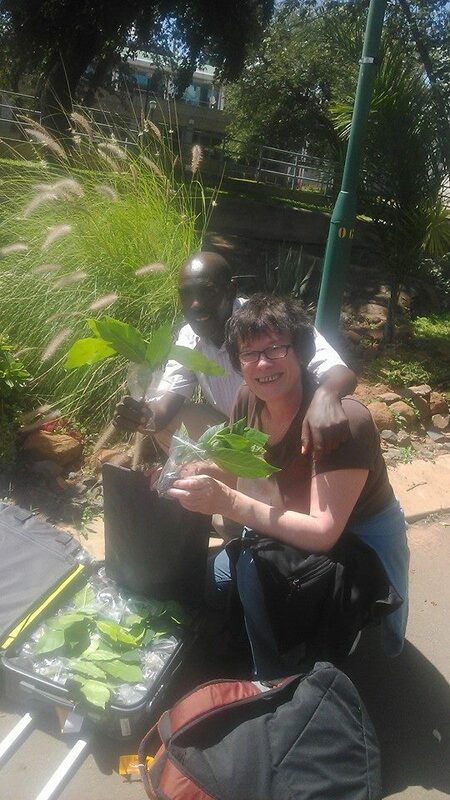 Planting A Future…well, we do that in many different ways. One of them, as you know, is literally planting a future by planting fruit trees to hand out to vulnerable households and institutions. But you can also plant a future by enabling kids to have access to education. Poverty level in rural Zambia is high. Also our community in and around Chinkonono Village depends on farming and a lot of times families have 5 or more kids and can not afford to pay school fees for all of them. Planting A Future decided to start a school sponsorship programme for those families. That means we are looking for sponsors who want to support kids and their families by providing the funds to pay for the children’s school fees. Those kids are just a few of the children who need financial support to attend school. Their parents and families struggle everyday to raise enough money to send their kids to school. Some of those kids are orphans or come from HIV families. Education is their key to change their lives. There are different type of sponsorships possible. I will explain the basics for you now. Important to know is that there are always 3 semesters per year. Primary School Level:Grade 1 to 7. The small ones basically get free education. They only have to pay for sports classes. So the fees are low. 15 USD (15 EUR) per year. The money will be spent on sports classes and school materials like books and pencils and also for school uniforms. Basic School Level: Grade 8 and 9. The school fees for those guys is 15 USD (15 EUR) per term, that adds up t 45 USD (45 EUR) per year. The money will be used on school fees for each term and also for school materials, such as books, pencils, rulers etc. and school uniforms. Secondary School Level: Grade 10 to 12. Those kids are preparing for their highschool diploma. This course is more expensive. It varies from about 120 USD to 160 USD (120 EUR to 160 EUR) per term, which can add up to roughlich 360 USD to 400 USD (360 EUR to 400 EUR) per year. School fees in generel get more expensive later on, so do books and school materials like calculators etc. Also included is money for accommodation and food for some kids because they live too far away and have to stay at boarding school or with relatives. But those costs are covered as well. College Education: College education in Zambia is very expensive. So far none of “our” PAF kids is at college. Fees, including a room and food, can easily go up to about 3000 USD (3000 EUR) per year. We will find out about those costs on request if we find sponsors. We will gladly suggest a kid for you to sponsor. There are so many of them. You know all those huge programmes, I guess. You pay a lot of money and you have no idea who the kid is who recieves it? You fear that a high percentage of what you pay just goes into the charity’s administration? Well…we can not speak for other charities. But I can assure your that 100% of the money goes straight to the kid you choose to sponsor. There are no administrational costs here. Of course you will also get a tax receipt for the sponsorship. And you will recieve info about who the kid is and how they do in school if you want to know. Please help us to plant a bright future for those kids! Thank you all in advance! Help us give children like James a future. Thank you so much to Stan who now sponsors 6 children in our community! So after the first warm hugs obviously everyone wanted to see how our breadfruit babies were doing. And what can I say? They all looked healthy and green and well. So late afternoon they took the car to make their way to Kalomo first. And…TIA…not even an hour after leaving Livingstone they had a breakdown with the car. Nothing happened and everyone and everything is fine. But it delayed them quite a bit. But finally they made it all to Kalomo. Bruni, the plants and Grime already left for Chinkonono Village and hit the probably bumpiest “road” (if you dare calling it a road) you can imagine. Lloyd stayed in Kalomo because there still is some money business to deal with so we can buy cement, paint and building materials to finish up our sewing room and library. He will be going to the village as soon as possible when things are sorted out in town. Please help us to plant a future and change a kid’s life! Stories we hate and fear to tell! This boy walked a distance of 11 km just to ask for help from Planting A Future and Lloyd. But he already takes care of other kids’ fees and was not able to help this young man out. He is 18 years old, but still in grade 8. His father does not care about his schooling. So he has to work in farmers’ maize and cotton fields for his school fees, books and clothes. He is a very good, clever and hardworking boy but fate hasn’t been on his side. 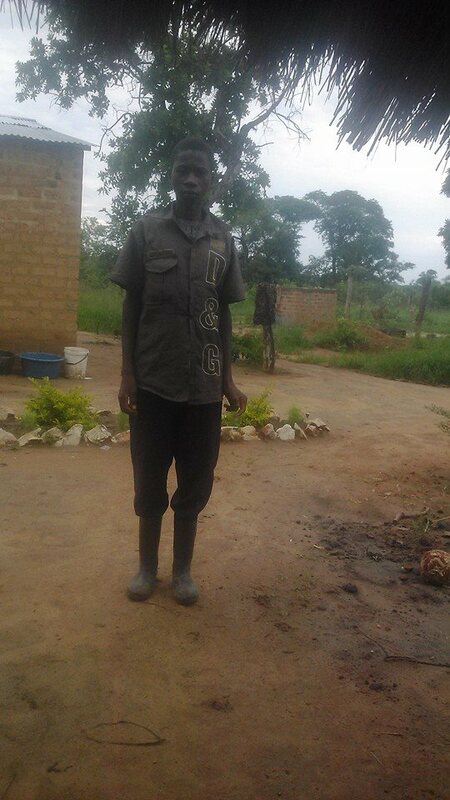 He needs k150 (equals about 13,50 USD or 12 Euros) each term for school fees…just that will make a big difference in his life. For now he has been sent away from school because he was not able to make the payment of fees…but luckily our friends from Repairer Of The Breach jumped in to help this young man. Thanks Carol and Jennifer! If you guys also want to help kids like him to pay for their school fees, please contact us for information about our sponsorship programme! Well…2016 has already started. We did take a little break in updating you. But we didn’t sit still. We have been working on various new and old projects. The sewing and show room is in the making. 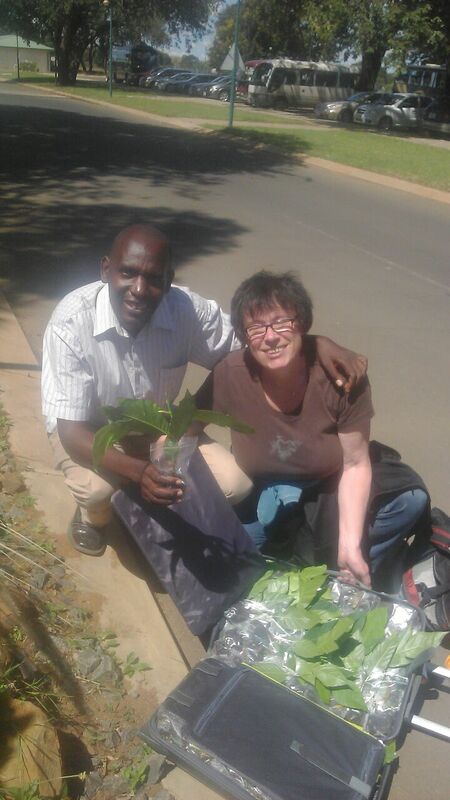 We are planting lots of trees and are also working on those 5.000 moringa seedlings for the chief. But one very new project we just started now is a children sponsorship programme. We are trying to find sponsors for kids in need to support them with their school fees. As you can imagine lots of kids come from vulnerable families or are orphans. They are all keen on going to school and learn to change their lives. One of our first kids we want to introduce is James. This young little man dreams of becoming a teacher. Despite all his struggles in life he is probably one of the bravest and most cheerful guys you can think of. Right now we are working on setting up some general “files” for all the kids we are trying to find sponsors for. School fees differ depending on what school they go to and they are needed 3 times a year for each semester or once a year. If you are interested in helping kids like James, please feel free to contact us at plantingafuture@gmail.com and ask for more details and info. We are more than happy to introduce you to the kids we want to help. Check back here for more updates on the sponsorship programme!